Here I am talking corsets on my Notorious Women of Brighton Tour this morning. I’m really happy to have been invited to do a handful of women’s history related tours and talks again for the Brighton Older People’s Festival again. This year it runs from today for two weeks until Sunday 8th October and has plenty of events and activities for those in the 50+ age bracket. 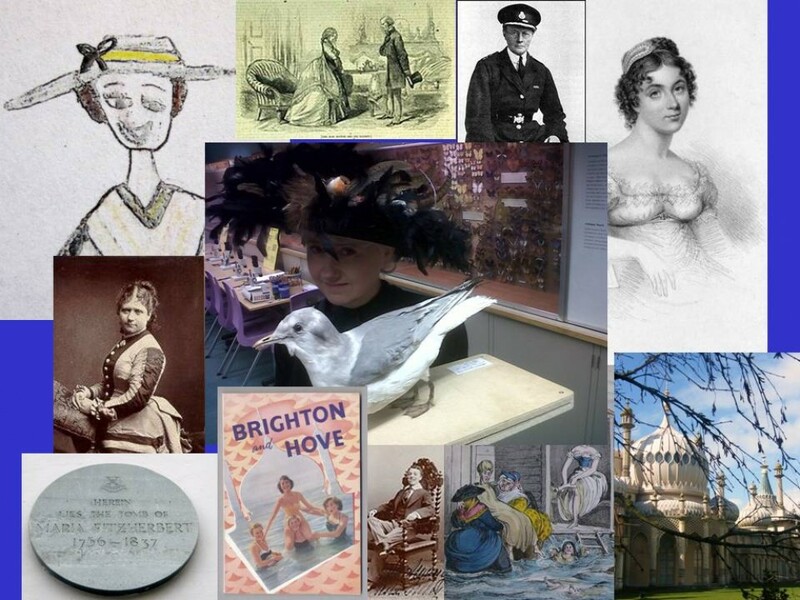 I’m going to be doing a Notorious Women of Hove tour, looking at some of the fantastic women who’ve lived and worked in Hove (meet at 11 outside the café in St Ann’s Well Gardens) on Friday 29th September, and also a Notorious Women of Kemptown gentle stroll on Monday 2nd Oct (meet at 11 outside St George’s Church). I’m also doing a couple of seated lectures this year. The first one’s tomorrow at 2 in the café at the Duke of York’s Cinema and is a seated version of my Notorious Women walks, looking at women who’ve created waves in Brighton and Hove’s history over the years. The second one, ‘Women Warriors’ is on Tuesday 4th October at 2 in the same place. In this one I’ll be telling the incredible stories of some of the women who dressed as men to serve in the armed forces in the eighteenth and nineteenth centuries, starting, of course, with Brighton’s very own Phoebe Hessel.